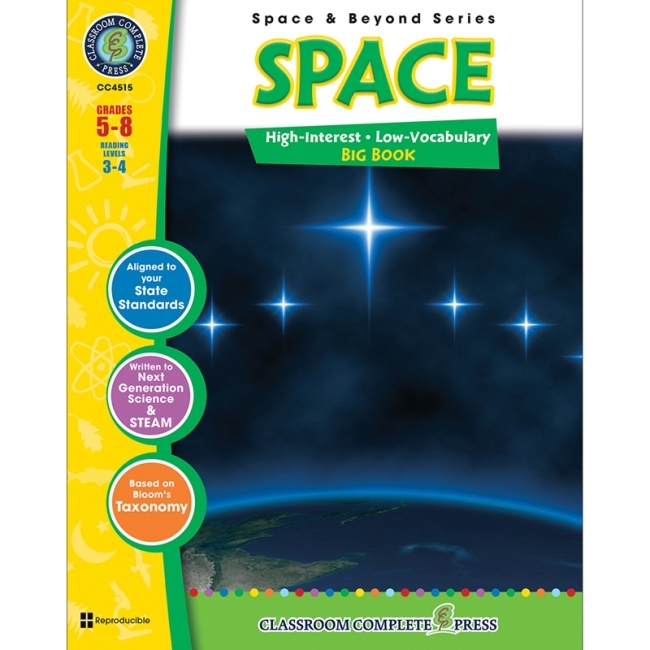 Great for any space lover in the classroom or at home! 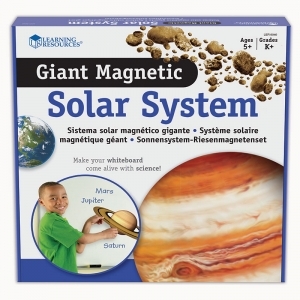 Use on magnetic whiteboards, steel lockers, refrigerators, and more. 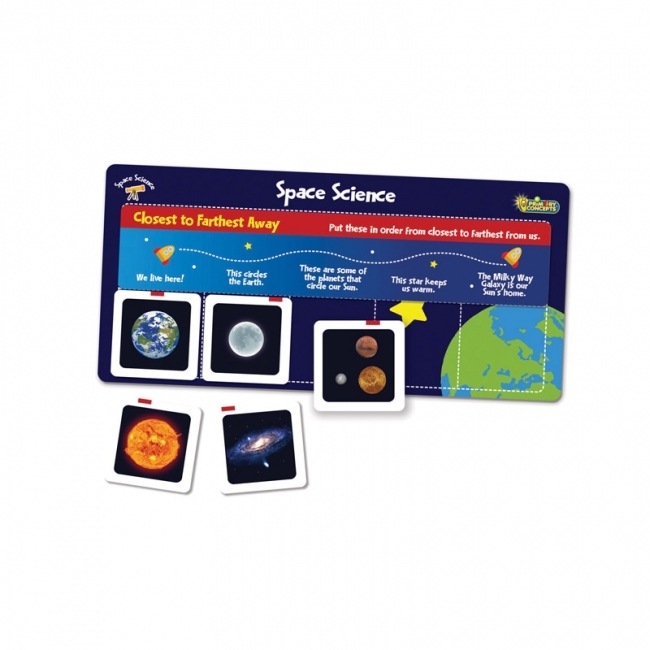 Comes on a 8.5" x 11" easy punch out sheet, and includes 10 pieces! Write-on/wipe-off surface for use with dry erase markers or chalk pens. Get the big picture about the Universe with our Space and Beyond 3-book BUNDLE. 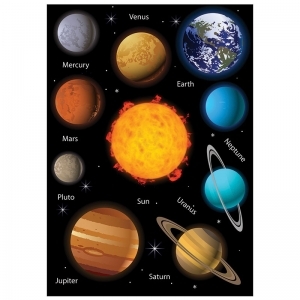 Start things off in our own backyard with a look at our Solar System. Travel to each of the inner and outer planets. 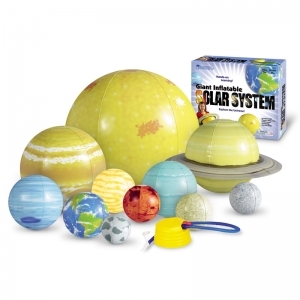 Build a scale model of the solar system, and plan your trip to one of its planets. Next, travel a little further out to look at Galaxies & The Universe. Learn how distance is measured in light years, and how far the next closest star is to Earth. Find out how much you would weigh on the sun, moon and planets. Finally, learn what it's like to live in space with Space Travel & Technology. Blast off into space with manned and unmanned spacecrafts. 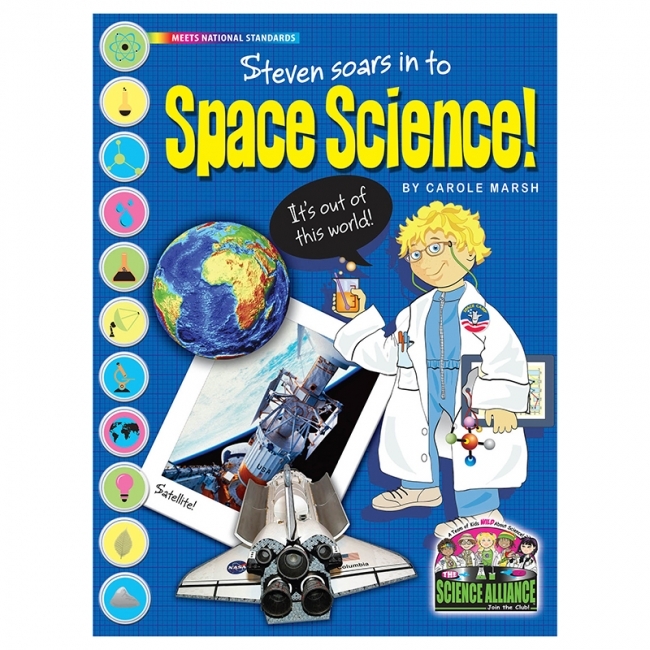 Learn about life aboard the International Space Station, and predict how different toys would work in space. Each concept is paired with hands-on activities and experiments. Aligned to the Next Generation State Standards and written to Bloom's Taxonomy and STEAM initiatives, additional crossword, word search, comprehension quiz and answer key are also included. 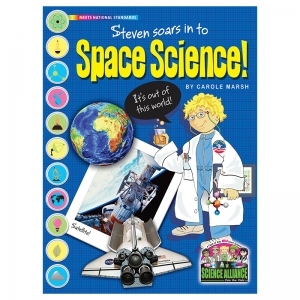 Simple and stunning nonfiction picture books introduce young learners to the wonders of space. All Little Pebble books have an Accelerated Reader ATOS level of 1.0 or below. 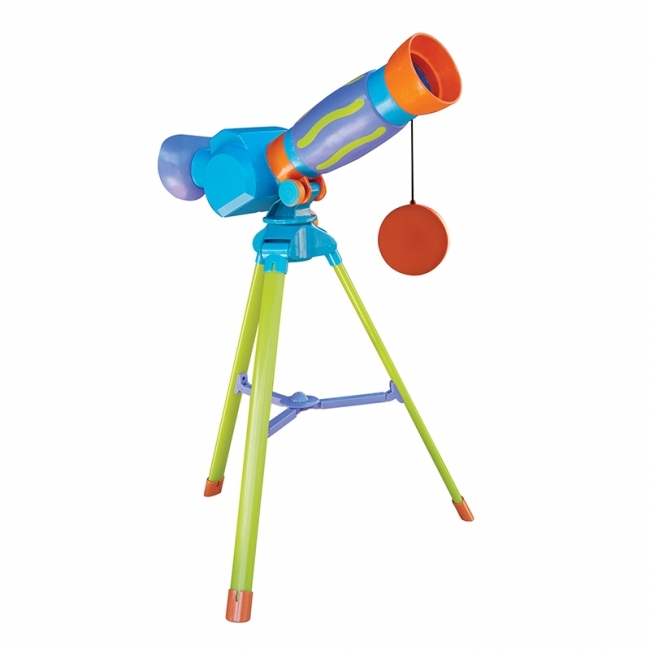 Discover amazing, up-close lunar exploration with GeoSafari® Jr. My First Telescope! Little ones can explore the moon with this focus-free telescope, built specifically for little hands and growing minds. Perfect for STEM learning. 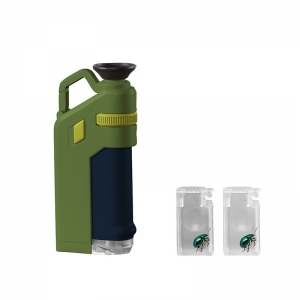 The 10x magnification provides fantastic views of the moon, while keeping the field of vision wide, which is essential for young children's understanding of magnified views. • From an award-winning line of science toys that will launch a lifelong love of space exploration and introduce key astronomy concepts and terminology! 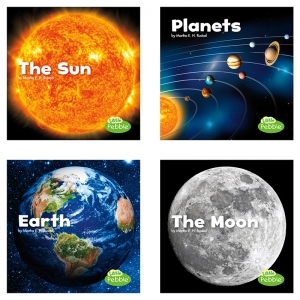 Stephen will introduce your students to space science including the moon phases, solar systems, the sun, stars and more. The book also includes fun activities such as word searches, fill in the blanks, writing activities, unscrambling words, crossword puzzles and more. The thought-provoking science fair project objective is how force and thrust work to propel rockets into outer space. 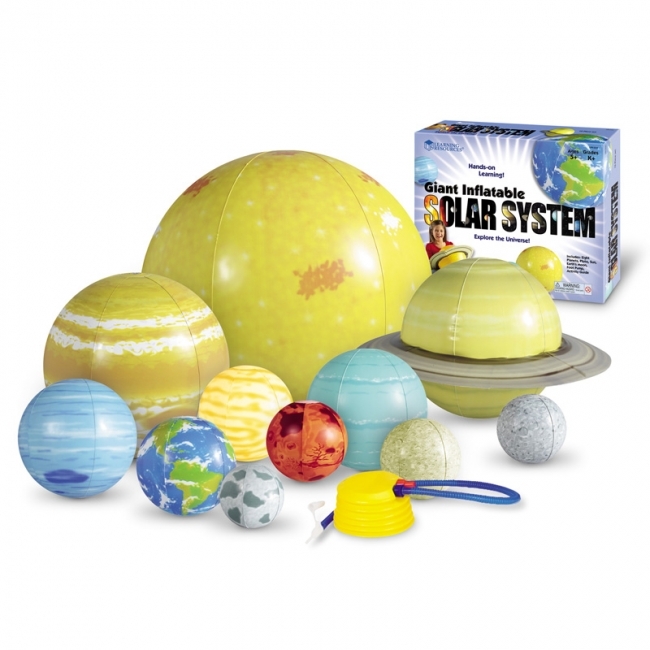 Demonstrate rotation, revolution, and orbit in 3 dimensions with this durable, washable solar system set. Teach the position, order, size, and shape of the planets and sun. 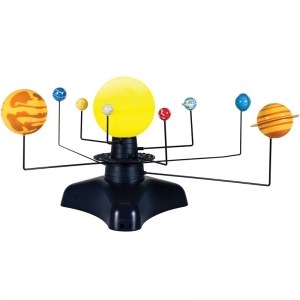 Also great for creating an out-of-this-world playroom or bedroom. Each colorful planet (and sun) inflates easily. Loops included for easy hanging. This unique solar system set turns any room into an intergalactic experience. 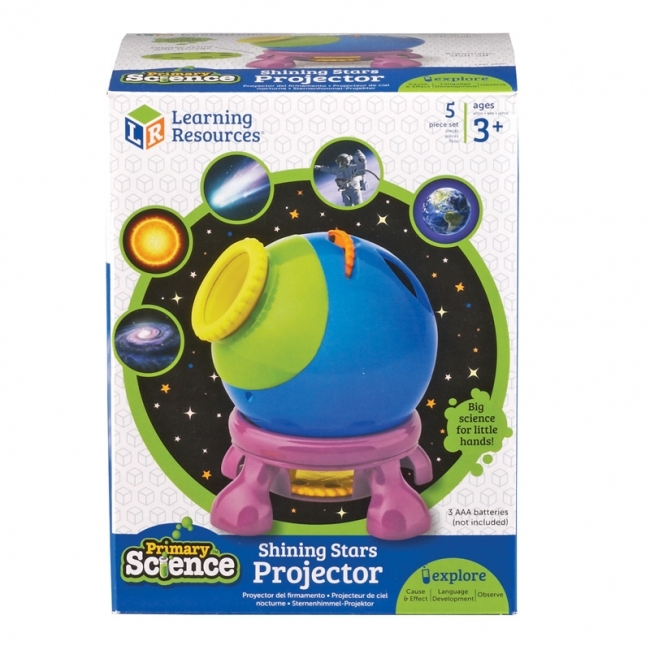 Includes: 8 planets with hanging hooks, Pluto, Sun, Earth's Moon, convenient foot pump, activity guide with fun planet facts, and a repair kit. Sun measures 23" in diameter, Jupiter measures 14" in diameter, Saturn measures 11.5" in diameter and includes attached rings, Neptune measures 9" in diameter, Uranus measures 9" in diameter, Venus measures 7.5" in diameter, Earth measures 7.5" in diameter, Mars measures 6" in diameter, Mercury measures 6" in diameter, Pluto measures 5" in diameter, and Earth's moon measures 5" in diameter. Grades K+. It's a galaxy of stars in the palm of your hand! Young astronomers can explore early space science by beaming images of space onto any surface for a close-up view of stars, planets, and more! Just place the discs into the slot for quick and easy viewing. Features an easy-carry handle, automatic shut-off to conserve battery life, and a stand for projector mode. Includes 3 discs, with 8 images on each (24 images total). Requires 3 AAA batteries, not included. Projector in stand measures 7"H.
Just match, flip, and check! Each colorfully-illustrated 25-piece set provides a perfect avenue for young children to learn about the wonders of the world around them. 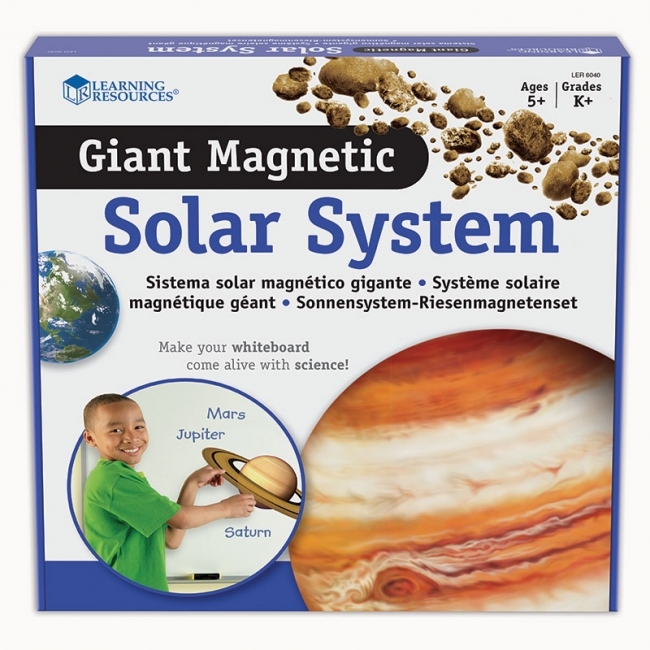 Aligned to state and national science standards, magnetic FlipChex are self-correcting and easy to use. Just place the five answer cards, flip the game strip, and check your answers. Color-coded game pieces make clean up easy. Planets, our Solar System, satellites, stars, and galaxies; what happens when the Earth rotates; phases of the Moon, and amazing celestial facts to tantalize budding astronomers! 25 piece set with 4 different magnetic activities. What a stellar set! 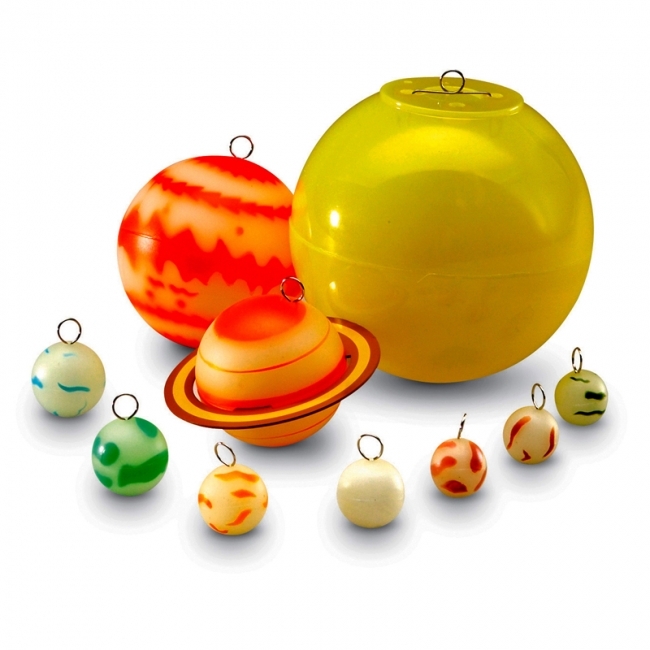 Bring a splash of science to your decor with these gleaming planets and stars. A special phosphorescent formula will give your universe long life and all the accessories you need to hang and stick everything into place are included in the kit. 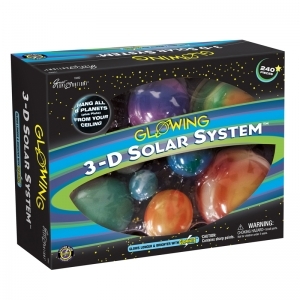 Comes with eight glow-in-the-dark planets plus Pluto, 25 feet of string, 230 glow-in-the-dark adhesive stars and a planetary guide.